The Spirit in the Wheels is understood by reading Isaiah 6: 1-8, Ezekiel 1: 5-12, and Revelation 4: 7-8 to obtain some background on Ezekiel wheels. 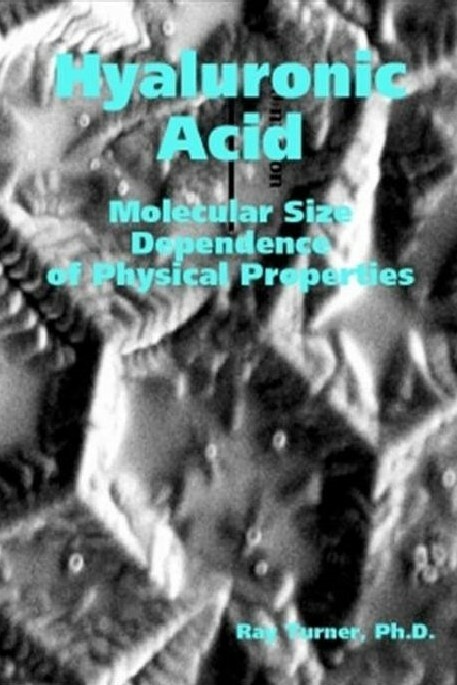 Incredibly, the biophysical properties of HA compare to those in these visions. Hebrew temple curtains and the veil compare with the structure and properties of hyaluronic acid (HA). Also, HA hydro-images depict the Gospel as it relates to the role of the veil in the Holy Scriptures. It is important to understand that we are patterns of our Creator. That is to say, we are intentionally a pattern of the temple in heaven. Why? Imagine that God knew that man would fail so he made a path for him. What if that path is a resonance between two states; heaven and earth. In this way, the Spirit can transport the soul from the natural state to the supernatural state through pattern recognition. Furthermore, the ability to self-assemble into this pattern or not could be faith dependent. So, a person’s belief in the way of the message of the cross would cause HA to self-assemble into the temple pattern requires resonance in holy places. In essence, God rips open the veil, but conscious belief is the catalyst. Figure 1. Side view. The HA-DNA “wheel in a wheel” comes with the Spirit inside according to Ezekiel. In Revelation 4, four wings become six wings. Compare this to HA4 to HA6 conversion necessary for cell adhesion. Healing is in his wings. It is important to reiterate that a group in France–independent of my work at MIT–published the molecular modeling results of the four living creatures from Ezekiel and Revelation. Turner’s results by a total different hands-on method show the four living creatures on a different size scale. 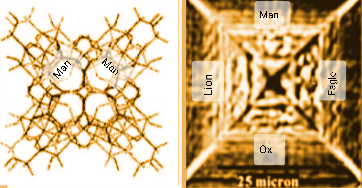 Imagine that dehydrated HA on the nanoscale and microscale is in perfect agreement with both the bible scriptures and that of Haxaires and others. These results along with the properties of the HA veil in Exodus prove that hyaluronic acid is the living temple veil in the temple of God, which is us! The inner workings of the wheels may involve high energy compounds from the TCA cycle and electron transport in the mitochondria. Subsequent analyses on dehydrating hyaluronic acid (HA) fragments and molecular modeling and X-ray data (see paper ) lead to a stunning conclusion. The Creator uses “hidden messages” in flesh (the veil) to image the life of Christ in us. In this way, the life of Christ redeems us. We are in him and he in us. In any case, the gospel embroidery appears within the Hebrew temple veil, the flesh of Christ, and our temple veil (flesh). Perhaps, this allows signaling to occur through the veils. Thus connecting those of the same Spirit. In this way, Christ and his image (man) are one. So, if Christ rises, so to shall we in the last days. The temple veil pattern is given in Exodus 26. Moreover, God instructs Moses on how to stitch and embroider the veil. 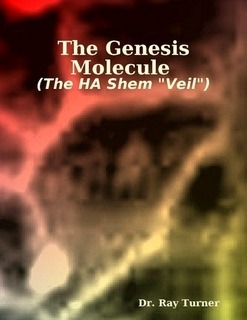 It appears that the Hebrew tabernacle veil fits the biological properties of hyaluronic acid (HA). Be that as it may, the significance of this relationship is extremely important. For example, if the veil separates the Holy Place from the Most Holy Place, then there are two sides to the veil. Consider that one side is biological and the other is theological. Put another way, one side is flesh and the other is Spirit. Then, the soul of the living creature in the veil has to pass from the biological side to the Spirit side to enter the Kingdom of Heaven. Finally, the new creature will need a new body as well as a new spirit. Without a doubt, that new body is the “Body of Christ“, our resurrected Lord! Figure 2. The temple veil pattern and features of the four living creatures of the bible (Isaiah. 6, Ezekiel. 1, Revelation. 4, Exodus. 26) are in perfect agreement with the research results of Haxaire’s group. Compare her results with Turner´s HA dehydration results (see image in side bar). These hidden messages are for Believers. This is a gift from God to His chosen. Recall that the Spirit of the living creatures is in the wheels. The scriptures above show that HA form the curtains and the veil in us, the living temple of God. From scripture, the Spirit of the Living Creature is within the wheel. It is clear that the Word was with God and that the Word was God. As can be seen, each of the four living creatures appear in figure 2. Be that as it may, four faces of a man, four faces of an ox, four faces of an eagle, and four faces of a lion can be seen. To be sure, the four wings describe the HA tetramer (GlcUA-GlcNAc)2. 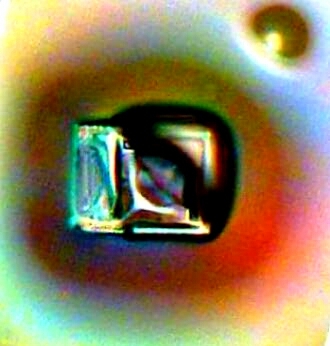 In keeping with this divine metaphysical script, the HA dimer (GlcUA-GlcNAc ) needs to bind to HA4 to be complete! Interestingly, only then can cell morphogenesis and proliferation occur. To gain clarity, scrutinize these results and understand its power! There is only one way our soul can enter the heavenly dimension. There is death through Adam and life in Christ. Due to sin, we have a death sentence on earth. However, Christ” paid the ransom for us and offers a new glorious body and a new spirit through his “Blood“. Be that, as it may, acceptance requires faith in the “Word of God”. In figure 2 the four HA tetramers each has 4 faces. In any case, along with the 4 bases in DNA, we can find the 64 codons. Also, other patterns not shown here show the interconnectivity of biology and theology. First and foremost, the proverbial worm hole described in the physical sense has divine metaphysical ramifications. For example, the divine shaping force that opens the “veil” is a portal into “heaven”. just as the out-of-body soul can enter holy places, a worm hole could be a breach into a physical dimension. As a case in point, recall the power associated with biblical patterns in the Hebrew tabernacle. Without exception, there are real world equivalencies. The veil, a gateway curtain, once protected us from a holy God. To violate rituals related to the veil meant death. In other words, only those meeting certain spiritual conditions could enter beyond the veil. In an analogous way, our physical bodies are unable to enter a black hole due to physical constraints. As previously indicated, convergence into the One is the point of the Gospel. Also, the “Spirit in the wheels” is Christ, the light of the world. Just as Christ is the light into a spiritual dimension, a black hole (type of wheel) may be a portal into another physical dimensions. As one can see, conceptualizing the veil requires spirtual discernment. One must first believe that the bible is the “Word of God”. Free from the body through conversion, the soul enters the security of Christ. Christ who tore open the veil through his own blood sacrifice, is the gateway to holy places. Analagously, light in the physical dimension conforms to natural laws with different boundary conditions. This entry was posted in biology, religion, science, Theobiology, theology and tagged bio-creation, biology, consciousness, the veil, Theobiology. Bookmark the permalink.